The little-known businessman who bought Aston Villa is hoping to improve both the English club and Chinese football in general. Xia Jiantong, who goes by the English name Tony, told The Associated Press he intends to use cutting-edge management theory and sports science to bring Villa to the pinnacle of the European game — and then bring those lessons back to China. 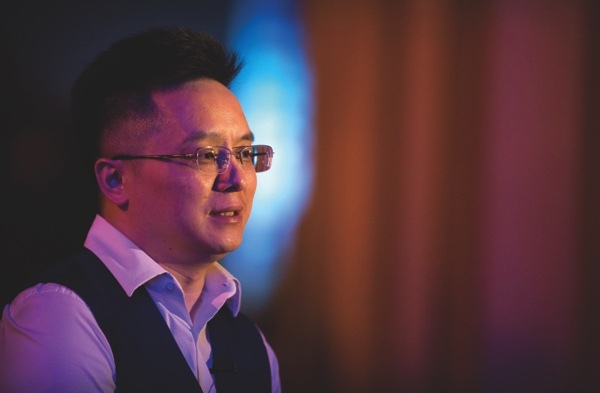 “In China’s going-out strategy, it’s been proven that buying foreign firms with know-how and then bringing that back to the domestic industry has been the most efficient route,” Xia said, adding that he would establish extensive programs for Chinese players to train at Aston Villa. Xia bought Aston Villa, which was relegated from the Premier League after a dismal season in which they finished last, for USD87 million. He denied that the deal involved any government or corporate backers aside from his business conglomerate, the Recon Group. Chinese President Xi Jinping recently urged the country to become a global football superpower and several high-profile firms have bought stakes in clubs, including Atletico Madrid and Manchester City. But until now, no one had acquired entire clubs. To help improve the game in China, Xia said he is already in talks to bring junior high and high school players to train in Birmingham this summer. A soft-spoken businessman who studied at Harvard and the Massachusetts Institute of Technology, Xia heads the Recon Group, which owns Lotus Health Group, the world’s second largest maker of the food additive monosodium glutamate. Lotus lost $78 million last year, according to Shanghai stock exchange filings. Another subsidiary produces digital hardware for urban infrastructure. Xia said he considered eight prospective clubs, including teams in Spain and Italy, before settling on Villa, which he said attracted him with its “mature” academy system. He said he pledged to deploy better technology to monitor players’ on-field performance, track statistics and gauge physical workloads to minimize injuries — areas in which he said other clubs he visited performed better than Villa. He also intended to use data to award financial bonuses to players. “This isn’t different from management science,” Xia said in one of several allusions to his business experience. He compared Aston Villa to an undervalued business suffering from “several years of substandard management” and could achieve its potential with better direction from the top. Questioned about his lack of football credentials, Xia said he has looked into the business for 10 years and has diligently studied the second-tier English Championship, the league in which Aston Villa will compete in next season. “I actually think I have [a] better foundation in football than other business areas we’ve recently entered,” Xia said. He targeted a swift return to the Premier League but ruled out “burning money” to bring success like Manchester City, whose Qatari owners have pumped in millions. Although he has publicly stated he would spend 50 to 60 million pounds on player transfers, Xia backed away from the figures on Friday, saying he would consult with the new coach he was in the process of hiring. Xia said he is now down to three final coaching candidates — one of whom is believed to be former Chelsea manager Robert Di Matteo — but declined to comment, saying he would announce the selection next week. After hiring someone, Xia said his first order of business will be to fix the atmosphere around the relegated club.